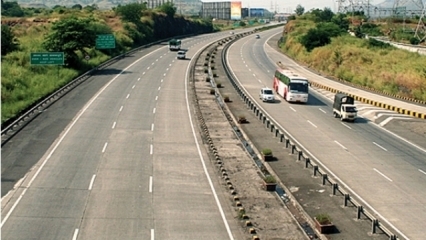 NEW DELHI: To make sure that National Highways Authority of India (NHAI) has no shortage of funds to undertake the extension of highways and building new expressways, the road transport ministry on Tuesday approved the agency’s plan to rise up to Rs 55,000 crore during this fiscal year from the market. The ministry also introduced in a Cabinet note allowing the NHAI to keep the proceeds of completed highway projects that will be sold out for a healthier balance sheet. According to the source, this will help NHAI to raise more funds on its own rather than continuing to depend on more budgetary financial support. At present, these stretches annually generate Rs 4,400 crore toll revenue. An official claimed that earlier proposal was to transfer entire proceeds to Consolidated Fund of India. But in that case, NHAI has to depend on the budgetary support. We hope all departments would support this proposal. However, the ministry has prepared a list of 75 completed projects that can be sold to private players for about 15 years under the new proposed model named Toll-Operate-Transfer. Ministry expects to generate at least Rs 40,000-Rs 50,000 crores upfront revenue from selling of these projects.